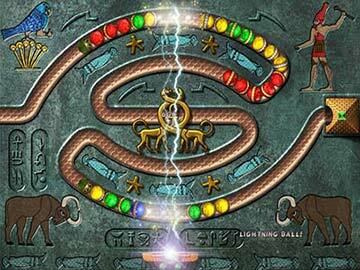 Luxor is an action-puzzler that takes you on an adventure across Ancient Egypt. 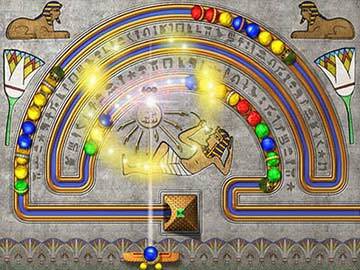 Use the scarab to shoot and destroy Set's spheres before they reach the pyramids. 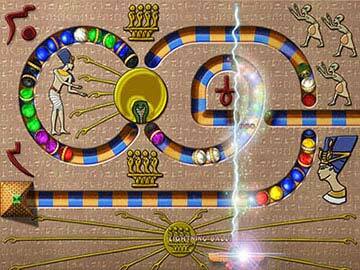 Use Isis' magic by catching talismans, gems, and Ankh coins. Can you thwart Set's plans? 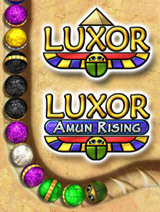 Then in Luxor: Amun Rising, the sequel to the runaway hit game Luxor, use your mystical winged scarab to destroy the approaching colored spheres and defeat the rebellious princess of Megiddo. Stop them all before they can reach the pyramids at the ends of the paths... or all of Egypt is doomed!